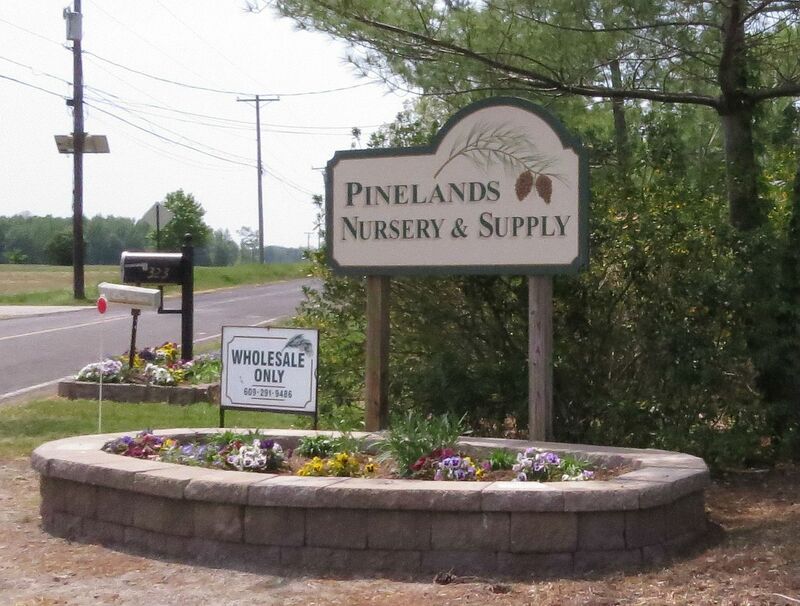 As a birthday gift to myself, I signed up for a free tour of Pinelands Nursery and Supply as part of the Native Plant Society of New Jersey. They're a wholesale nursery who's doors are closed to the public except for the occasional gardening club and horticulture related events. While on the tour though I was thrilled to learn that the owner's son is starting up a branch for smaller orders meant for the general public. It's called Pinelands Direct and I can happily say I'll be ordering from them in the future. 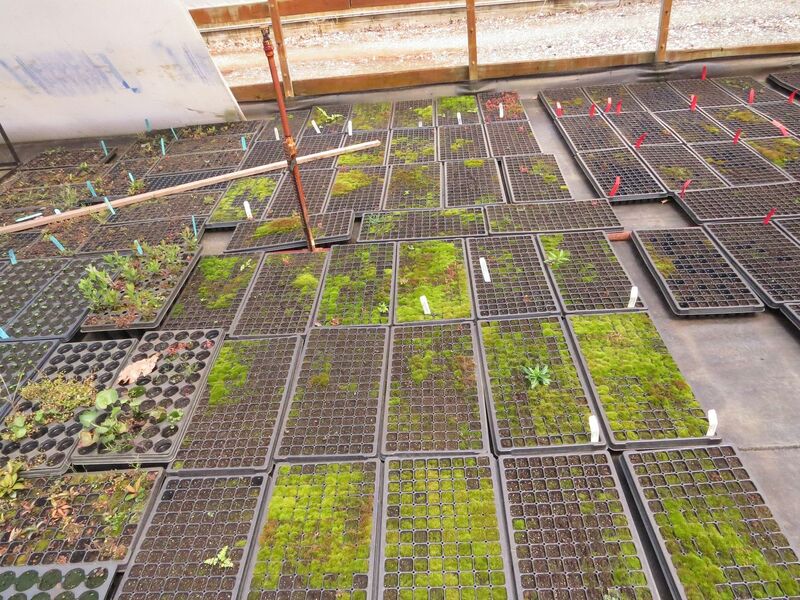 Their website could use a little work and they don't have as big a selection as the main Pinelands Nursery, but they are selling some hard to find plants such as Seaside Goldenrod, along with more typical native plant nursery plants. 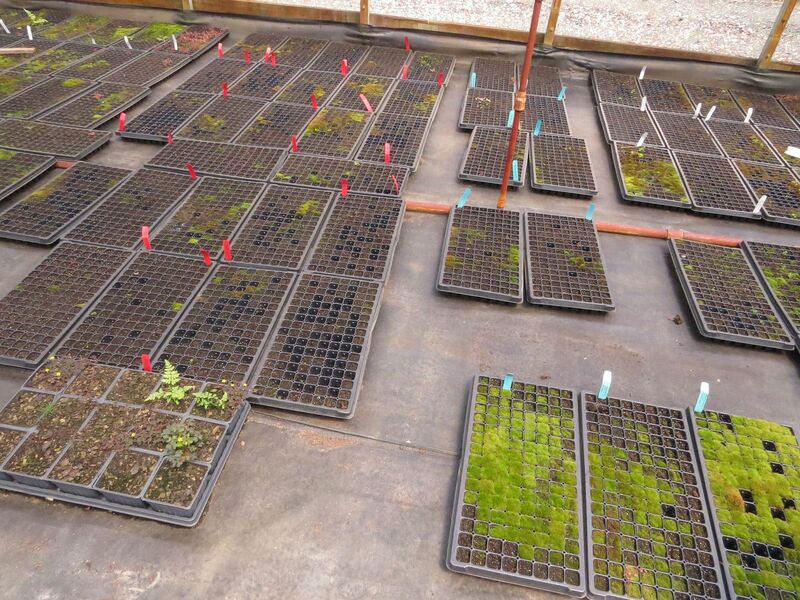 Regardless of which nursery you're buying from, though, you'll be getting plants grown from local seed stock native to New Jersey, PA, NY, DE, and generally a 250 mile radios around their nursery. Some native plant gardeners and conservationists find that important. Personally I don't, I'm not that picky but it is nice growing something that tends to be better adapted for the local area. Speaking from experience, I buy from a lot of online nurseries and sometimes when I order from a nursery based in Florida the plants don't always survive the winters. So growing from local genotypes has its benefits. When you do find success though it's sometimes fun to mix and match genotypes to extend the bloom or encourage fall color at different times of year. The Black Eyed Susans grown at the Mt. Cuba Center in DE bloom right alongside Symphyotrichum laeve 'Bluebird' (click more photos), whereas back at my house in NJ, they've finished flowering long before most asters have even flowered. However I do happen to have two genotypes of New England Aster. The local one found here in NJ blooms a solid month after the one I ordered from a Massachusetts nursery. Their bloom is so far off that one is setting seed while the other is flowering. It was implied they take field trips and go well out of their way to collect seeds. Sometimes they're in boats. 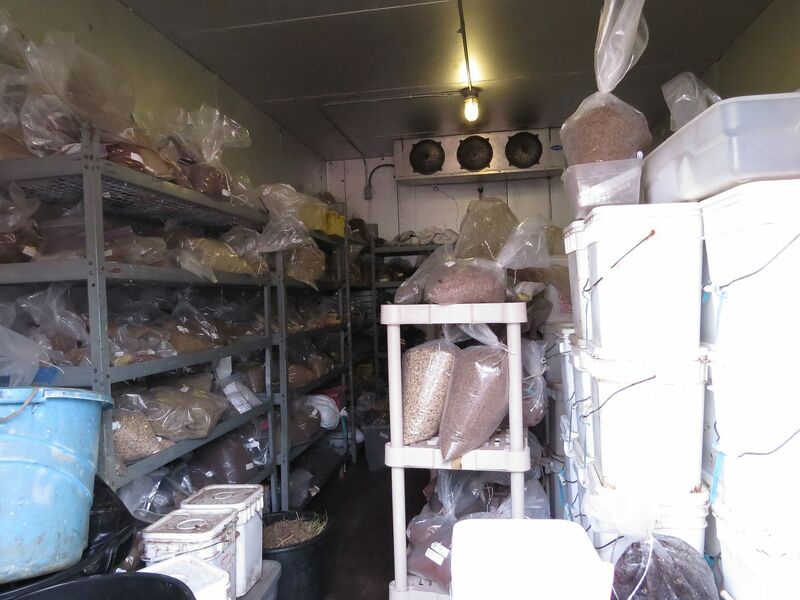 Each of the white drums (right) he said probably held a 1 to 3 thousand dollars worth of seeds depending on the species inside and how dense they packed it. 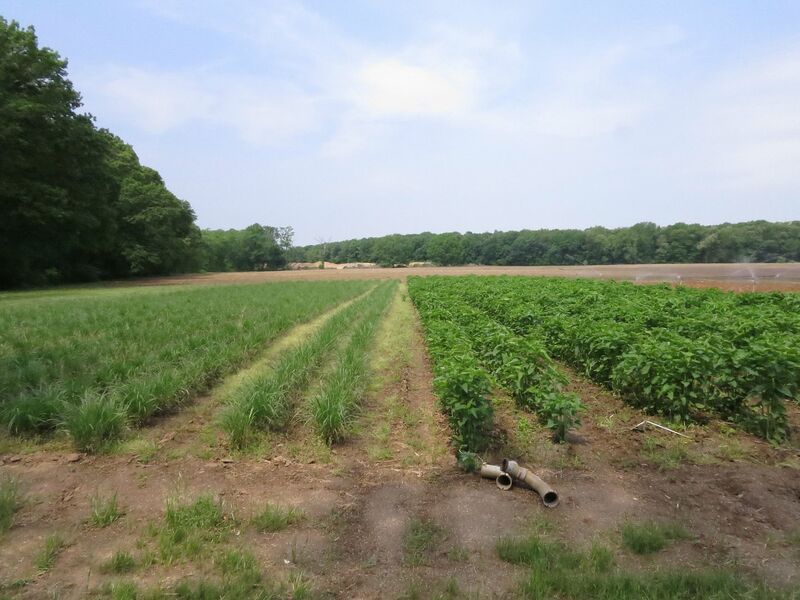 Several of the species they offer, they grow in fields to make seed collecting easier. He owns several farms for that purpose across multiple states. The deer are a problem for some of their sites but not this particular location. Apparently hunting is allowed in the forest pictured in the background. One crop of some sort of grass looked to be dead and they were watering the hell out of it. I assume it's a warm season crop but the fact they were watering worried the owner quite a bit. It hasn't rained in NJ for a month now and he joked during the tour that if the skies suddenly opened and a torrential down pour happened he wouldn't exactly have been mad at the situation. A mixture of sand, ground up coconut chips, wood bark, and maybe two or three other things I'm forgetting, go into the pots and plugs they use there. 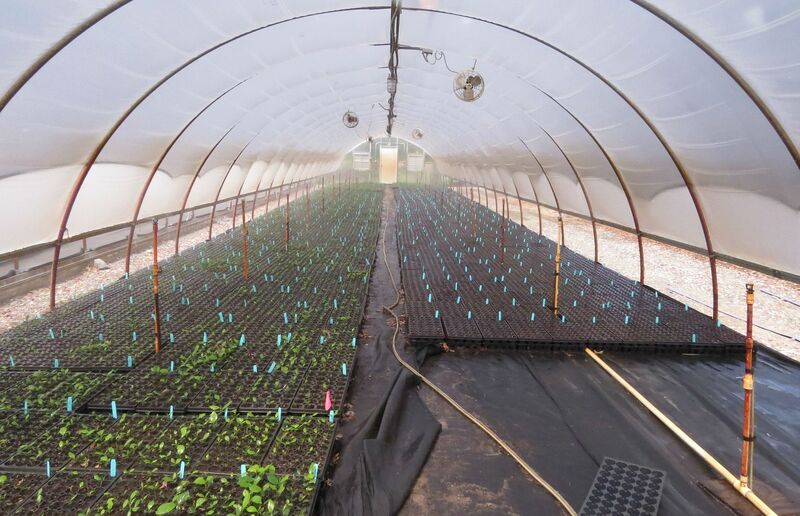 This is the "Pinelands" nursery after all so Sand is very important. Along with offering good drainage though it's also the heaviest medium to put in a pot, which I really hadn't though about. He also commented on how you'll see plants in nurseries, how the medium seems to have settled or sunken in a good inch or three. That's mostly because the medium they used decomposed which he viewed as not being good, though I'm note convinced it really matters. Depending on the size of the pot or flats they're filling the media gets mixed up and loaded into one of two machines. And he emphasized that they fill their pots up to the brim. This machine in particular is meant for size 1 or 2 pots... I say size 1 or 2 because apparently you can get sued for calling them 1, 2, or 3 "gallon" pots because they technically don't hold 1, 2, or 3 gallons of liquid. (Also a 5 dollar foot long may in fact not be a foot long.) So the wood in the back is a boxed in area where they mix the soil up. 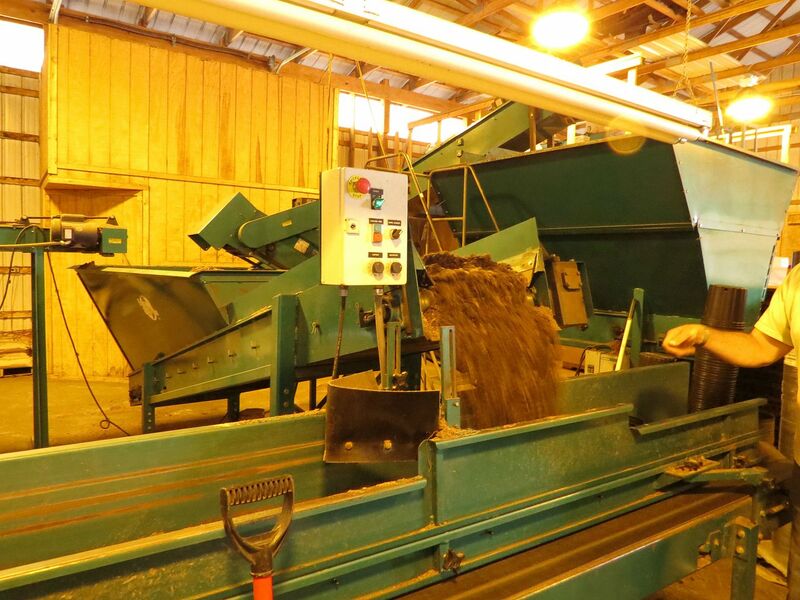 A conveyor belt takes it to the green bin (right) which then dumps it into the second bin as needed (middle) and that travels up another conveyor belt dumping down through a grate that the empty pots move under. 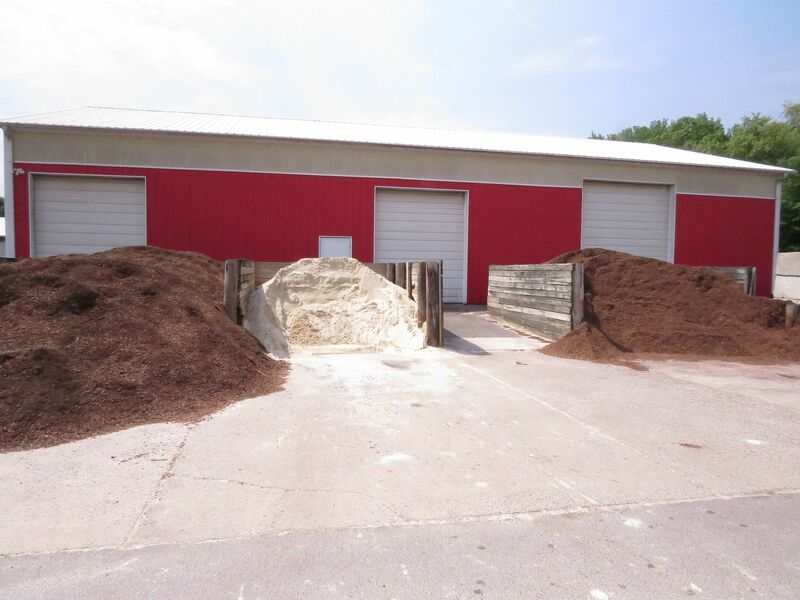 The excess soil is scraped off the top and yet another conveyor belt collects it and sends it back up into the middle bin (left). Here you can see the result of their machine that fills the flats up with dirt. 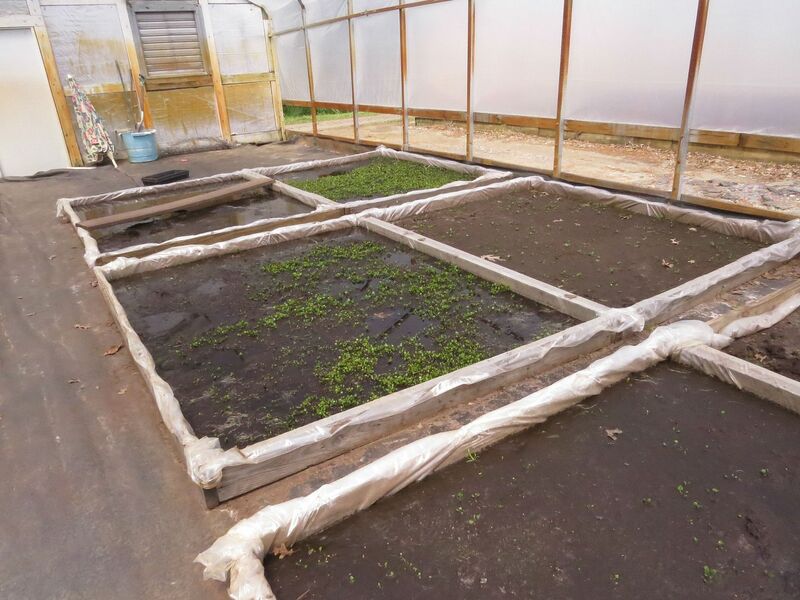 For some species of plants they'll actually mix the seeds in with the soil and load it up into the flats (one assumes smaller flats than the ones pictured above). Here they were trying different methods to get Ferns to grow. Ferns reproduce by spores which have to develop into different types of microscopic organisms before what we would consider to be an adult plant forms. I'm not big on ferns and I don't particularly understand it but it sounded similar to getting Orchids to grow. 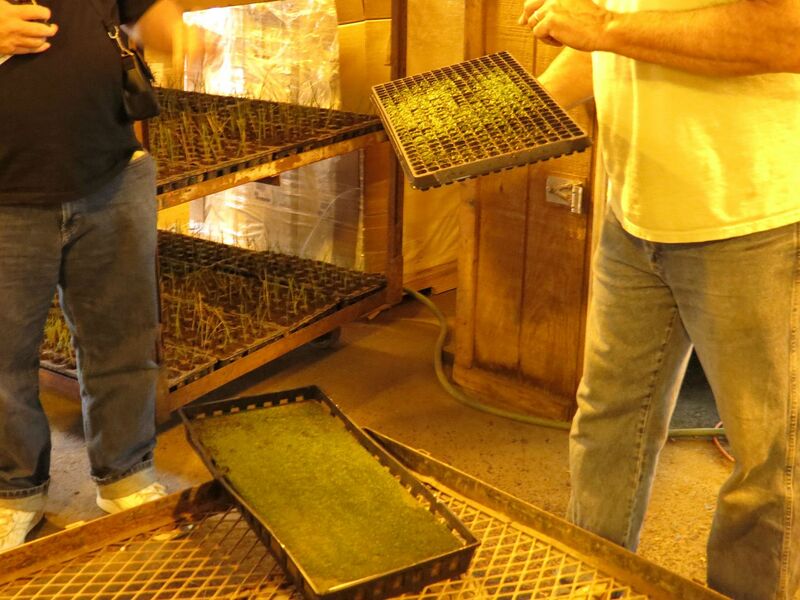 This particular method involved collecting spores, sending them to a lab to be grown into tissue samples, putting them into a blender and then soaking the contents in a sponge material and then hope something grows. He's had a moderate amount of success with this method but believes he needs to get the price down somehow. Flats of this that were placed outside in the greenhouses show some success, but it was unclear if these were from that method or something different. He did have greenhouses that were just filled with ferns as far as you could see so clearly something is working. 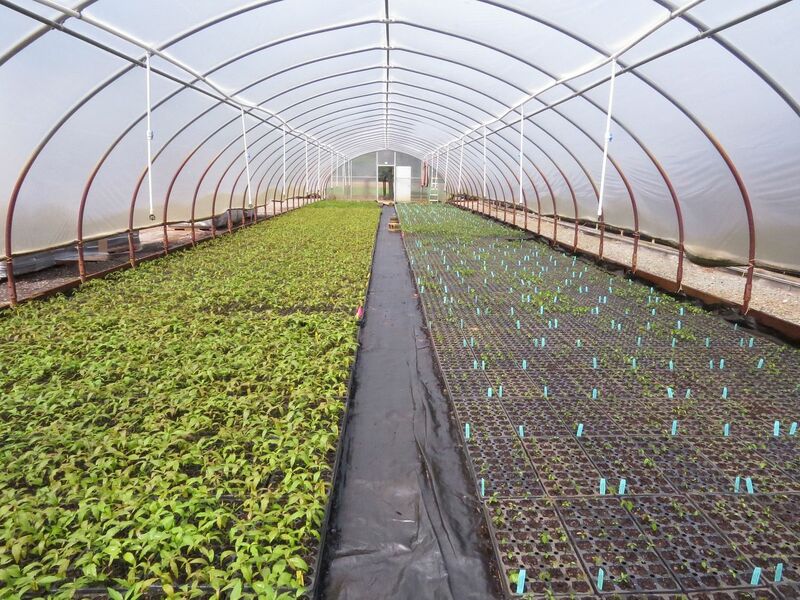 Of course all plants, whether seed or spore, get planted in a flat and taken out to one of the greenhouses. It was neat seeing them being watered, and he actually runs heating coils underground. Other nurseries I've been to use gas boilers to pump in the heat manually. His watering method seemed more costly though but really I'm not sure. Some places I've been to had their own water towers setup and just use gravity to create water pressure. 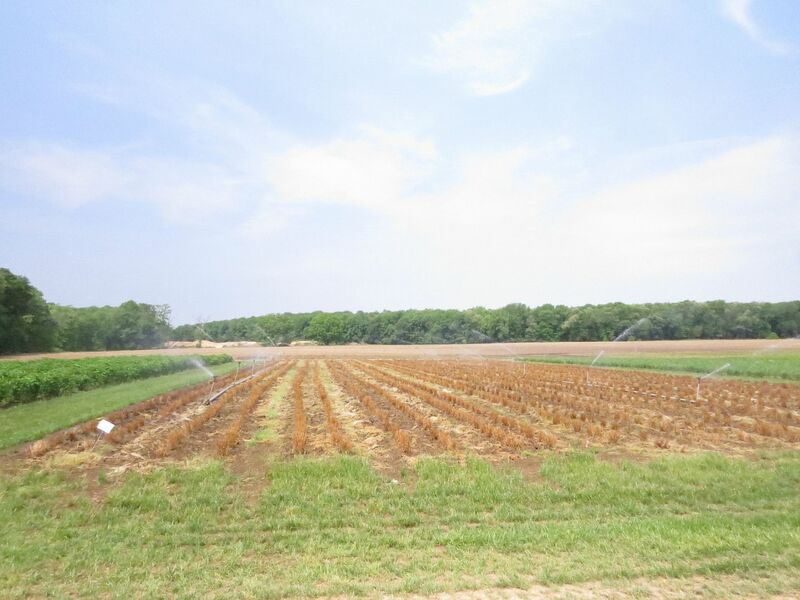 He grows aquatic plants too, mainly used for restoration projects. Their seed has to be submerged in water to germinate. Also I'm not sure what it is about the mud in these beds but they smelled awful but not unlike bogs I've been to in nature. He talked a little about why he's not more open to selling to the public. The benefit of wholesale is how automated he can be. They collect seeds by the millions and germinate them all at once. He gets huge orders of plants. 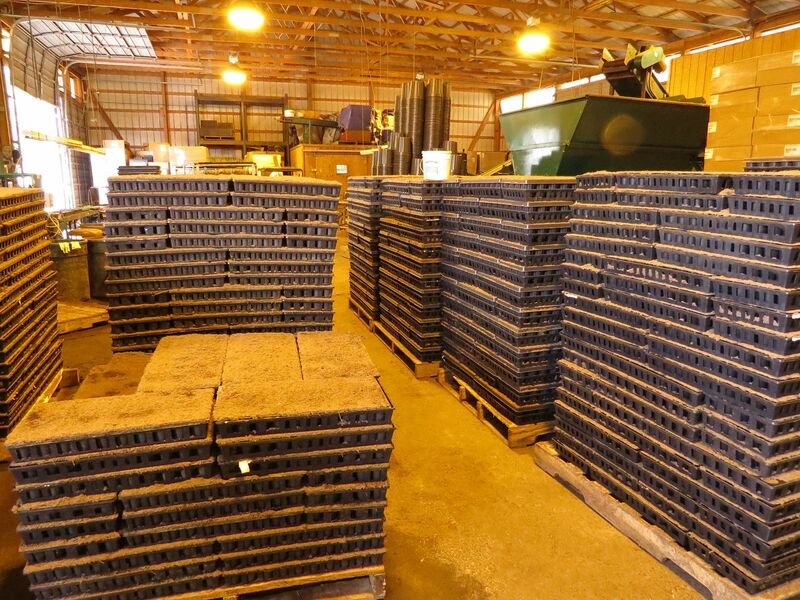 The minimum order is $1,000, and it's not uncommon for people or order plants 1,000,000 at a time. Taking the phone call for that order takes up about the same amount of time as it does for someone only ordering just 10 so it's REALLY not worth his time. It was great seeing his son stepping up to the plate and running the retail side of things though. I wish his selection was as good as his the wholesale... actually I'm not sure why it isn't, (maybe those are the only plants they keep in stock year round?) whatever the case, I think they're the only nursery that really sells Seaside Goldenrod over the internet. 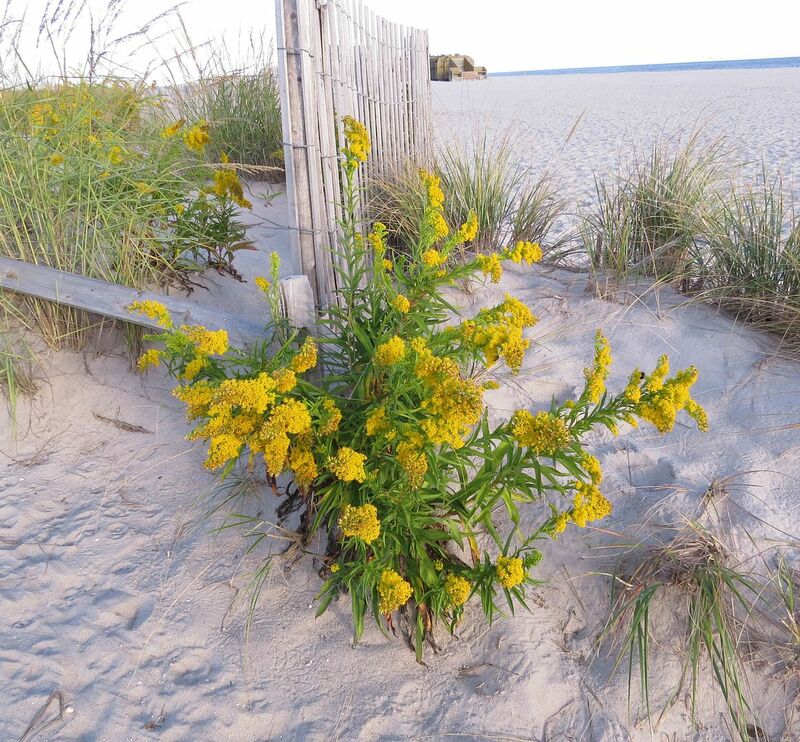 For those of you who don't know about Seaside Goldenrod, Solidago sempervirens, this is the last nectar plant Monarch butterflies get before leaving New Jersey and crossing the Delaware river in their migration south. That's the ocean in the background of this photo. 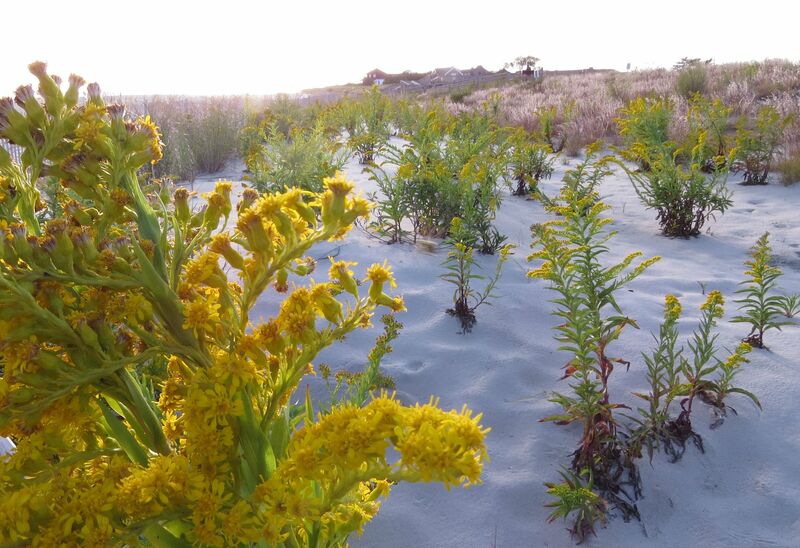 This species grows in 100% sand, is extremely salt tolerant, and grows right along the beach.